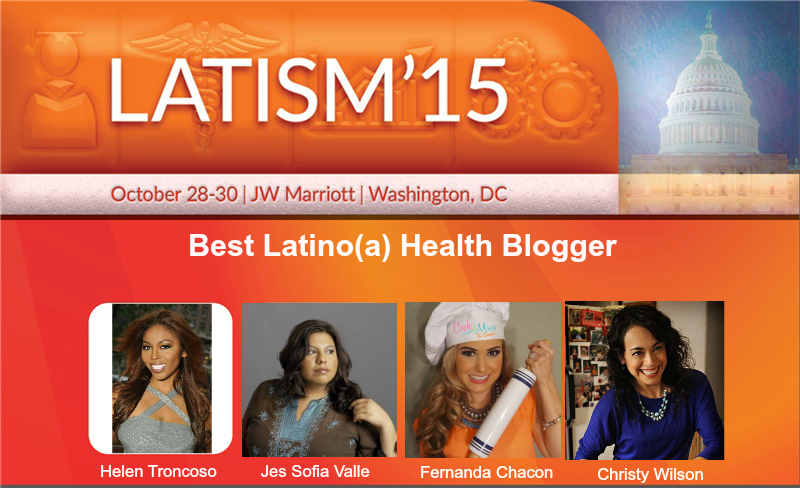 Can I just tell you how amazing it was to find out that I was nominated by Latinos In Tech Innovation and Social Media (LATISM) for “Best Latino(a) Health Blogger.” I have been blogging for a few years now, first as a way to share what was going on with my life, and that evolved as I saw a need to talk about health and health disparities particularly with women and minority communities. It’s not always easy to write a post. I try to make them personal, because that is what resonates with me. You may leave yourself open to people critiquing your writing style, judging your lifestyle and so on, but I continue to do it for those that tell me they are happy that I was so open with my life, and shared these resources that they didn’t know of before. That’s the power of blogging and social media, and I’m proud to be a part of it. While I have been trained in physical fitness and nutrition as a Doctor of Physical Therapy, I also make sure to not forget about the other parts of health and wellness like motivation/inspiration, mental health and relationships. Because you can’t deny that what’s going on in your head and life won’t affect your health as well. I would love your vote, but I also want to share the spotlight with my other nominees; Christy Wilson and Jes Sofia Valle. I adore these women so much! We are all clinicians and tend to lean on each other for support on health resources and everyday things. II am so proud that we are women supporting other women going after their dreams! Previous story Health Hack: What To Do When You Only Have A Few Minutes To Get Fit.